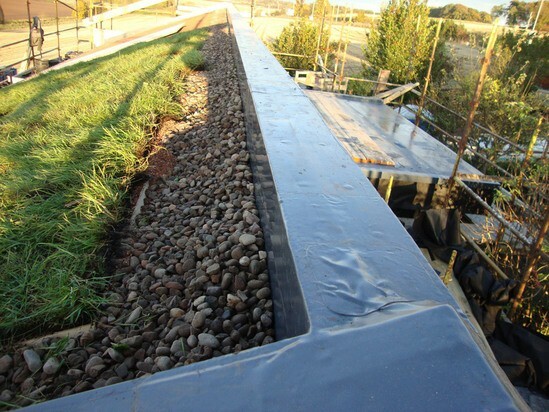 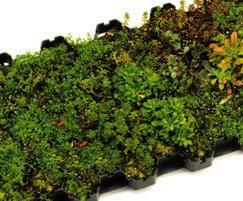 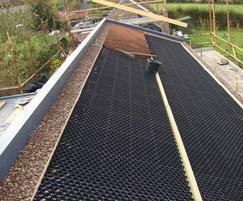 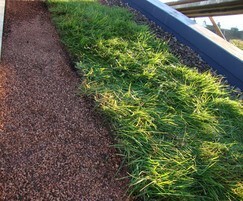 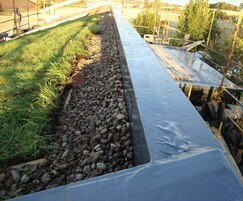 The Grassroof green roof system combines the functions of paving and a drainage layer. 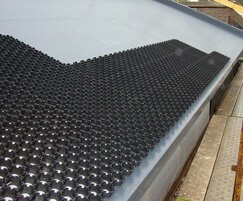 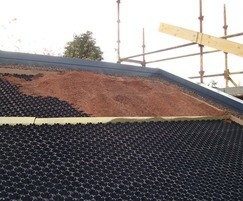 LS/1 leg supports are simply bonded to the roof membrane to create a gap at the underside of the paver. 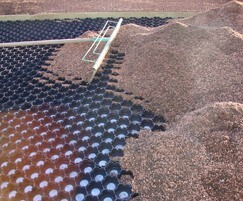 With the GRF/1 system, this gap is filled in with a lightweight aggregate filter media.